Jojo is used to his parents not being around. He is happy most days to live with his little sister Kayla and his grandparents. But when his dad is released from prison, his mother Leonie packs up the kids and takes them across Mississippi to bring him home. 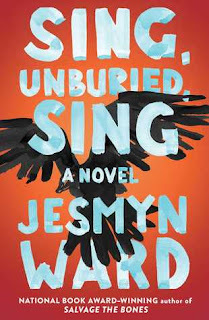 Sing, Unburied, Sing is the story of one family's attempts to reach each other, but it's also an examination of the ways history haunts us many generations later. This book is gracing many best books of the year lists and it won the National Book Award. After so many glowing reviews, perhaps there isn't much for this reviewer to write. But I will add my voice to the chorus that says that Jesmyn Ward is one of the most excellent writers working today. She can evoke a powerful sense of place and history. She also writes characters so carefully--by the time the book is over, readers feel that they have truly gone through this journey with Jojo, held little Kayla when she's scared, and relived a painful past with Pop. Ward has written another beautiful, evocative, thought-provoking story; I'm so glad we get to experience her writing. Keith and Kristyn Getty are well-known as musicians, songwriters, and worship leaders. They believe that the Bible commands each of us to sing often and in many settings. In Sing! they remind us that singing together deepens our connection with the family or congregation we sing with, as well as our connection to God. Some of you may know that I am a part of the music team at our church. I sing with our choir, sing solos sometimes, pick music for our praise team, and lead the congregational singing. I was hopeful that this book would help me to bridge the divide between the people who happily sing every week and the ones who look like they would rather do anything else than sing in public. 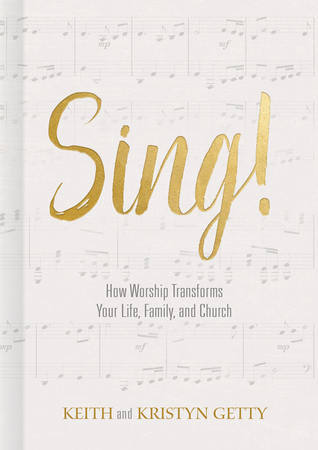 While Sing does offer a lot of basic information about why singing is important, I was hoping for some more specific stories about reaching non-singers instead of reinforcing the joy and power of song for musicians. I did appreciate reading about the impact songs have on us, though--most of us can tell you the song that represents a certain time for us or still sing the lyrics of our favorite song from a decade ago. This book is a good starting place for people who work in churches or want to add more music to their families and congregations. 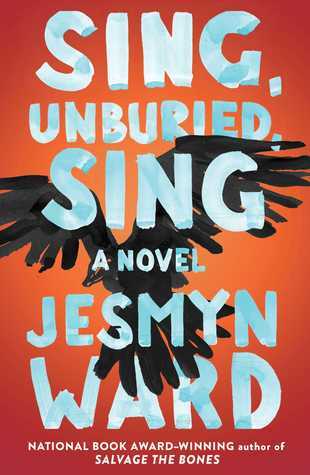 I felt much the same way you did about Sing, Unburied, Sing - beautiful writing, moving story. I gave it an A when I reviewed it, but when it came time for my Best Books list, I never even considered putting Sing, Unburied, Sing on it. For some reason it just didn't have a lasting impact on me. I loved Sing, Unburied, Sing. I think it’s the most important novel that was published this fall.